Frank returns after a year’s sabbatical to find… most of the other Amazing Amazon comics podcasters have podfaded and the movie sequel pushed back seven months to 2020? Perhaps now more than ever, the world is waiting for a Barbara Minerva / The Cheetah III podcast! 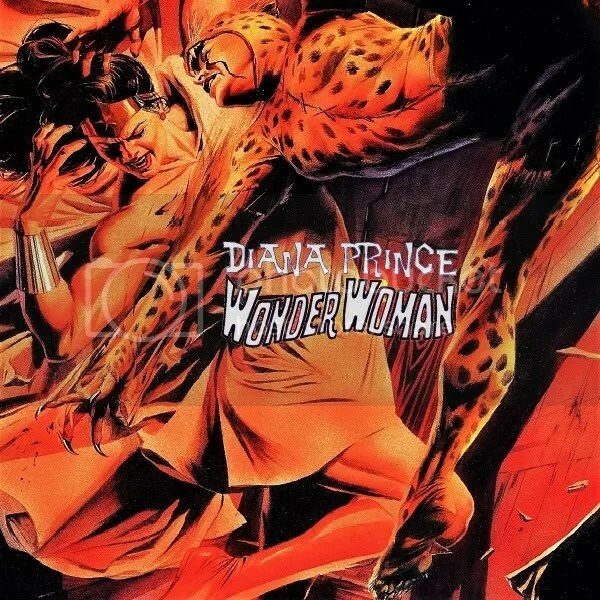 This episode covers nearly every Cheetah story from 1986-2011, from her debut to her origin and overall career prior to the New 52 reboot! Included is Underworld Unleashed, a well regarded event mini-series from 1995, which a group of bloggers/podcasters join us in exploring for a crossover all our own! 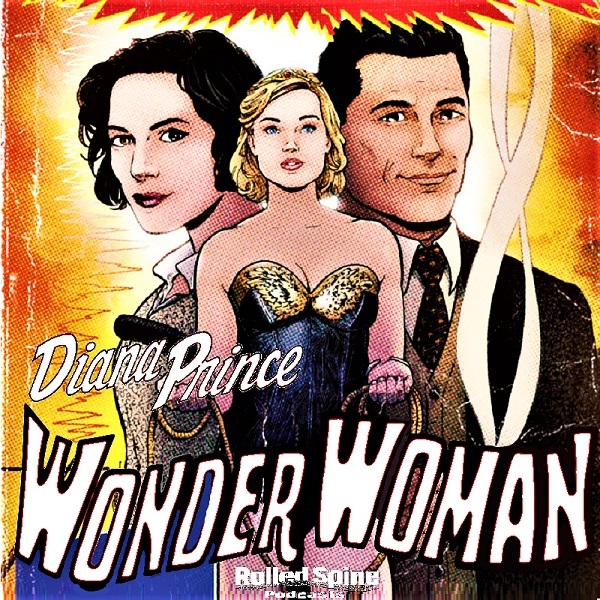 Pekita Trotamundos joins Frank to discuss Angela Robinson’s new film about Wonder Woman creator William Moulton Marston, his wife Elizabeth, and their extended family member Olive Byrne (as portrayed by Luke Evans, Rebecca Hall & Bella Heathcote.) We also look deeper into the factual history of the Amazing Amazon’s creation and charges of historical inaccuracy leveled against the docudrama. This episode, Frank covers the first major arc of the William Messner-Loebs run, “Exile in Space,” which ran in Wonder Woman vol. 2 (1987 series) #66-71 (1992-1993.) Since nobody actually refers to the “Space Pirates” story by that name, we’ll use the story title from #69 instead. This is one of Frank’s favorite legends of the Amazing Amazon, featuring art by Paris Cullins and a host of inkers, with an especially epic series of Brian Bolland covers. This time, the show will run without commercial interruption. This episode, we look at a pair of the very few Elseworlds out-of-continuity “imaginary stories” with Wonder Woman as a billed star. First we adapt previous coverage of 2003’s The Blue Amazon one-shot special by Randy & Jean-Marc Lofficier with art by Ted McKeever. The core of the episode is a fresh look at 1996’s Superman/Wonder Woman: Whom Gods Destroy prestige format 4-issue mini-series by Chris Claremont, Dusty Abell and Drew Geraci. As a special bonus, coverage includes excerpts from a 2016 interview with the writer discussing this project. 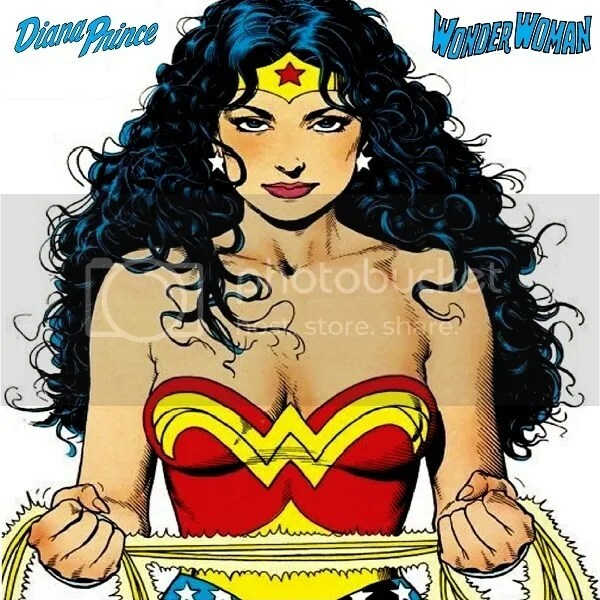 Satin Tights: A Wonder Woman Podcast, covering the 1970s TV shows. Eclipso and The White Magician are the focus of our newest episode and latest entry into a social media crossover, Best Event Ever 2017. 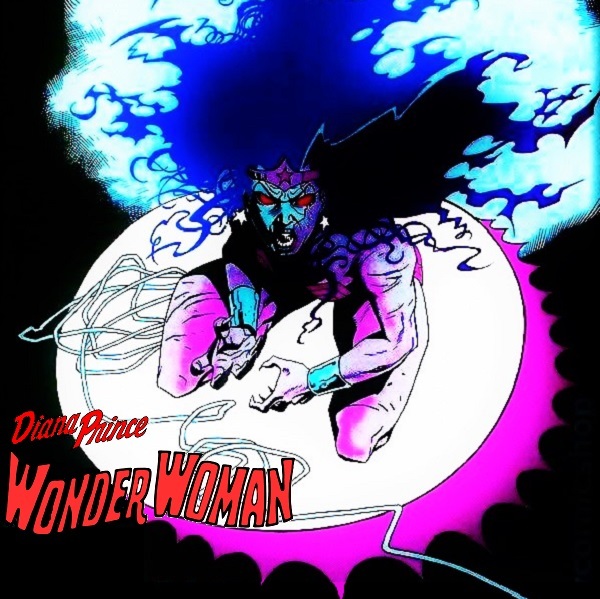 Besides the William Messner-Loebs scripted Wonder Woman Annual #3, we also see Princess Diana in Justice League America Annual #6, The Adventures of Superman Annual #4, and Eclipso: The Darkness Within #2 plus the Justice League cartoon series episode “Eclipsed” from 2003. As a service to the event, we also look at the Eclipso-only stories from Deathstroke the Terminator Annual #1, The New Titans Annual #8, and of all things, Ambush Bug Nothing Special #1. JLMay 2017– The Justice maxi-series Podcast Crossover Event is over, but Frank offers a bitter little pill of an epilogue as he discusses Alex Ross’ Wonder Woman work in Kingdom Come along with synopses of Wonder Woman: Spirit of Truth (2001) and Justice (2005-2007). Finally, we’re talking about the William Messner-Loebs run on Wonder Woman, the host’s favorite series of Amazing Amazon adventures! Unfortunately, the transition out of George Pérez’s long and well regarded run isn’t the smoothest. We chart some of the bumps along the way from War of the Gods to Wonder Woman Special #1 & Wonder Woman (Vol. 2) #63. Bonus interview material read from Amazing Heroes #197 featuring Loebs, artist Jill Thompson, and editors Tom Peyer & Dan Thorsland discussing thoughts early in the run, story plans that never came about, and more! Beetlemania! A podcast devoted to the legacy of the Blue Beetle.